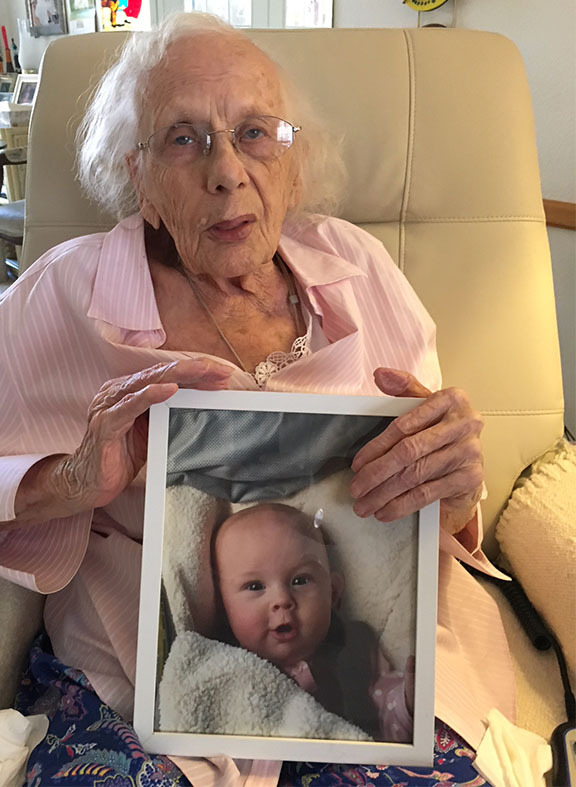 The woman in the chair—Betty Radina—is 94-years-old, and the woman in the photograph she is holding is one. And that little baby girl would be Betty's great-grand-daughter, Frances. "It is so comic to hear oneself called old, even at ninety I suppose."